Please find below Mei-Shun’s newest fan for Japanese dance. 京扇堂, Shin’s recommendation of great art for a long time, met his wife at last this Wednesday. Just a step into the shop lead them to this shining green. How beautiful you are! 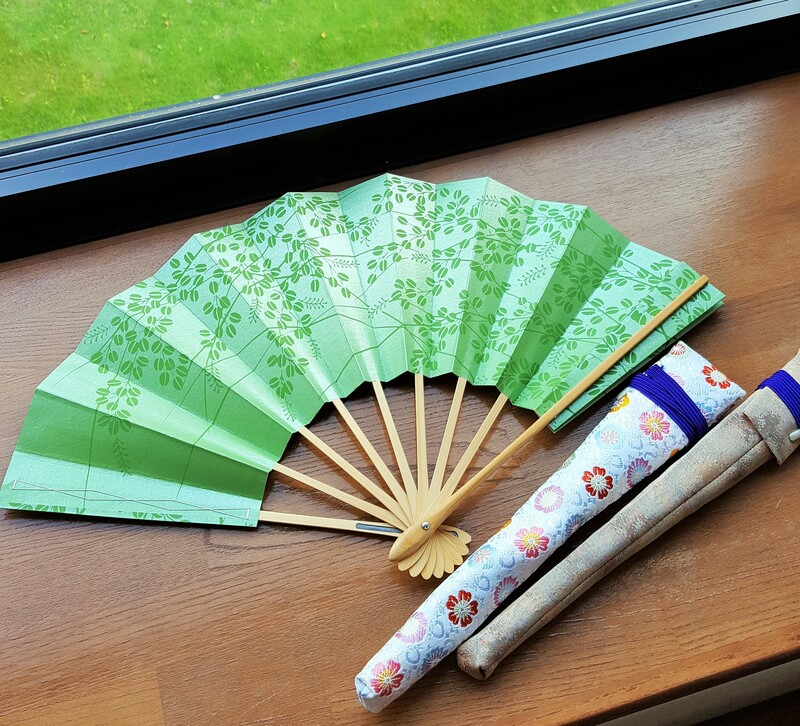 Could you join Mei-Shun for practice 汐汲 at home? Ah, you would if accompanied by these coats. All right, let’s say “thank you very much” together to our generous sponsor.